We strive to create comfortable living environments that are equal to high European standards, with top services, fully furnished inclusive appliances and deliver state of the art facilities that add value to the lives of the residents that decide to live, spend their weekends or holidays in sunny Pattaya and make here in Thailand their primary or secondary home. 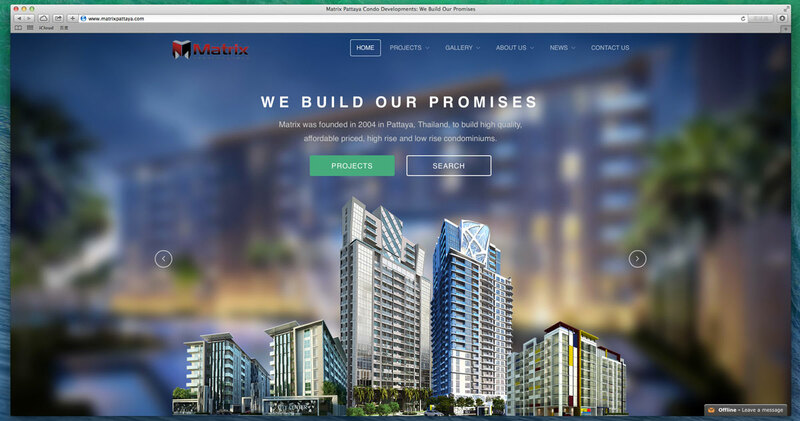 Matrix M Co., Ltd. operates under its own capital and by exclusive partnerships with external private investors. We create stylish website designs, craft elegant user experiences, create marketing campaigns with measurable results, If you are looking to create a new website, take your brand noticed, or start an internet marketing campaign that generates real leads, please feel free to explore our latest work and contact us to get started! Skyren offer outstanding SEO service for every client websites we created.